What a few days folks! 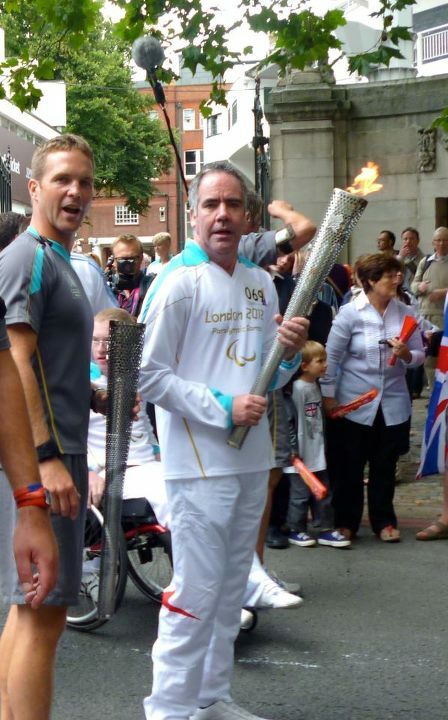 I was part of a team carrying the Paralympic Torch from Lord's Cricket Ground - during which time Andrew Strauss resigned as England captain - towards Abbey Road. The relay ran late, the LOCOG officials were a pain, trying to hurry me up... But it was a fantastic day. Looking at the video online I just looked dazed - I definitely didn't want to hand it over! Strangers recognise me in the street. I guess brand Mark Allen has gone intergalactic!